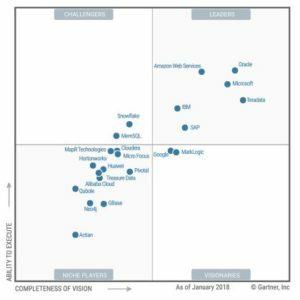 “DATA MANAGEMENT SOLUTIONS FOR ANALYTICS”: FOR GARTNER, ORACLE IS ONCE AGAIN A LEADER! Oracle is once again a synonymous with quality and certainty. A new research conducted by Gartner on the various existing solutions for data analysis has recognized to Oracle the title of market leader. Wide range of portfolio. 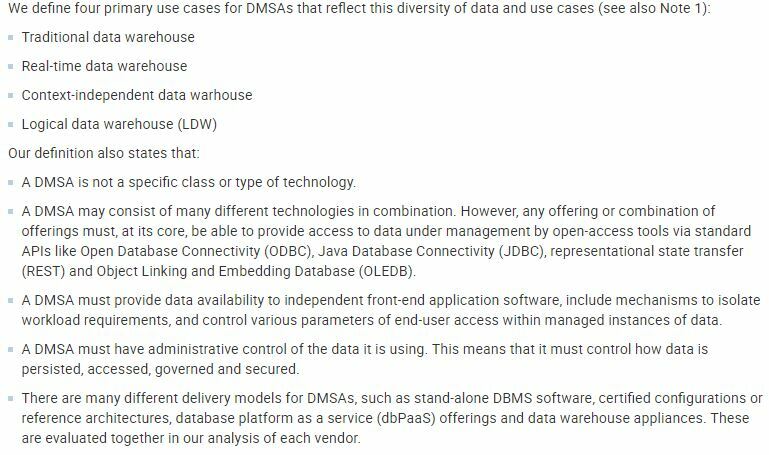 Oracle can offer its customers a wide range of solutions DMSA, so can cater perfectly to their specific needs. Among the main solutions that make up the offer of Oracle we can appoint: : Oracle Database 12c, Oracle Exadata Database Machine, Oracle Big Data Appliance, Oracle Big Data Management System, Oracle Big Data SQL and Oracle Big Data Connectors. To these we have to add all the solutions available in the cloud as: Oracle Database Cloud Service, Oracle Database Cloud Exadata Service, Oracle Big Data Cloud Service and Oracle Autonomous Data Warehouse Cloud. Technical capabilities. Oracle has been a leader in DMSA technologies for decades, and it is a result that is achieve only if there are the technical capabilities necessary to systematically develop new solutions in line with the dynamics and market changes. Oracle was able to reinvent itself, keeping constantly updated its offerings in time pointing to the utmost satisfaction of the end customer, this allowed Oracle to get the highest score in the survey made to customers concerning product functionality. A key issue for Oracle has always been to develop different solutions but able to integrate among themselves in order to offer a “complete package” of tools, in this way the end customer can have the necessary support in the management of their business. Gartner research has shown that the 80% of customers who use Oracle DMSA solutions rely on other tools provided by the same vendor. 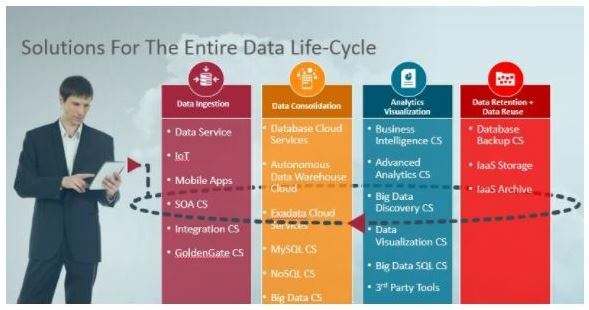 In conclusion , it’s easy to see that the portfolio of Data Management solutions offered by Oracle is one of the most extensive and complete among those available in the market. Multiple tools and solutions are made available to the consumer in terms of continuity and integration involving the entire world cloud.